Showing 3 articles from September 1, 2016. LOUISBURG - Michael Jerome Garrett, 70, died Monday, Aug. 15, 2016 at his home. A celebration of his life will be held Sept. 24, 2016. A private graveside service was held at Oakwood Cemetery. FRANKLINTON -- Despite possessing a wealth of talent, Tyreese Williams has needed to be patient while sharing the load in the backfield for the Franklinton Red Rams over the past three campaigns. But Williams, now a senior, is making the most of his opportunity to be the featured back in the Red Rams' offense. 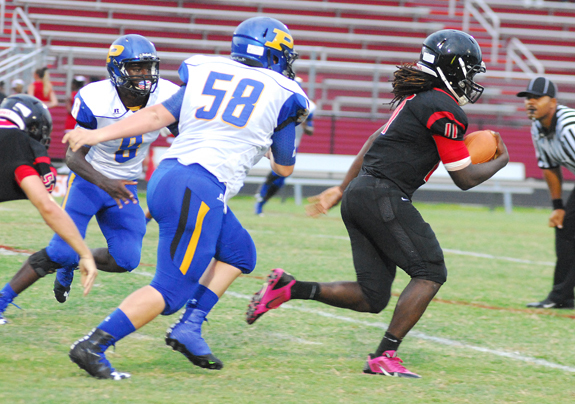 Williams has been strong this fall, including a 242-yard, three-touchdown rushing effort during Franklinton's 38-27 home decision on Thursday against the Princeton Bulldogs. BUNN -- Southern Nash's skill-position depth and talent proved to be too much for the Bunn Wildcats during Thursday's non-conference backyard rivalry football game. The Firebirds attacked Bunn from every angle en route to defeating the Wildcats by a 31-16 margin at the BHS Football Field. 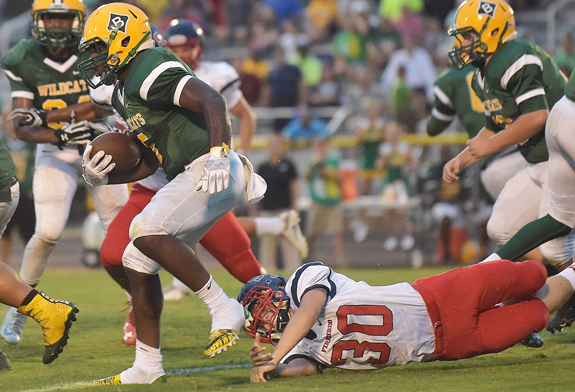 With the triumph, Southern Nash remained undefeated at 3-0, while Bunn dropped to 2-1 overall.